The design for this sculpture was created by Las Vegas sculptor Dorit Schwartz – and, an amazing piece it is! 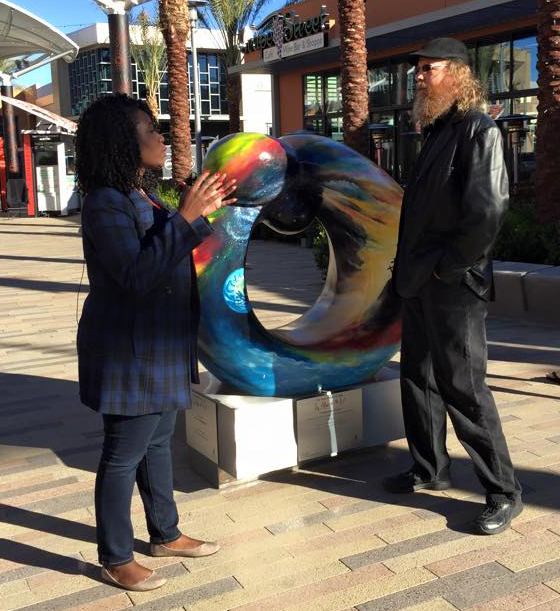 The one I painted, Miracle, as well as the other 9 painted last year are currently on display at Downtown Summerlin. If you are in the Las Vegas area be sure to go check them out. They will be there until April 20, 2015.